Inspired by an upcoming trip to Montana and an opportunity to explore Yellowstone National Park, I have taken up hiking. It’s a pastime my husband has enjoyed–without me– for quite some time. And yet, inspired by play and my photography, we make an effort to include some kind of adventure–with an opportunity to explore through my lens–on our days off from work. So for the past three weeks we have hiked, exploring the local backcountry with our feet. What I like best about hiking is being outdoors, enjoying the sun, the natural terrain, noticing the native flora and fauna, and finding views and interesting photo subjects that aren’t available without hiking in at some distance. It gets hot in the backcountry around here, so we headed out pretty early this morning to hike before the mid-day heat. 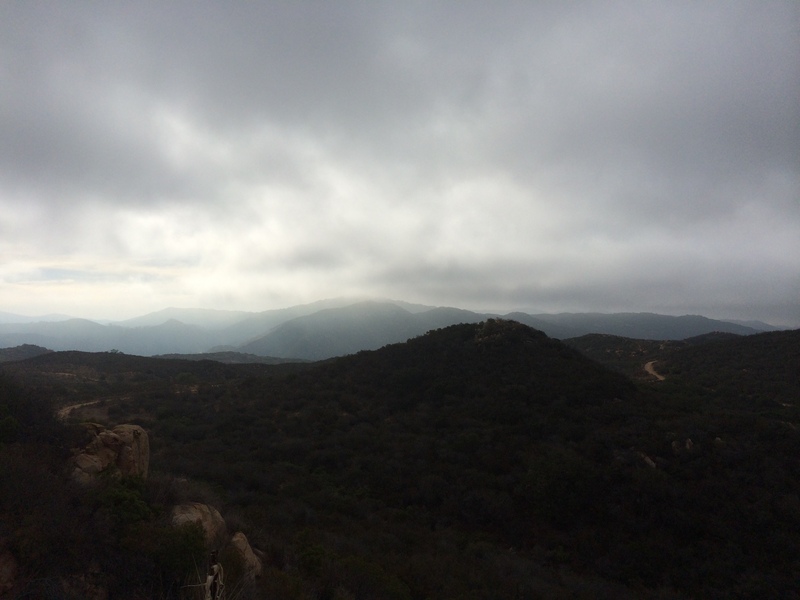 After climbing some distance, I looked out to see this view of the mountains in the distance veiled by the clouds that were just beginning to yield to the sun. And there are relics of days gone by in these wide open spaces. Evidence of the native peoples who lived here before the white settlers, knowing that the native plants served as a food source and pharmacy…that this arid place sustained life long before our modern conveniences. 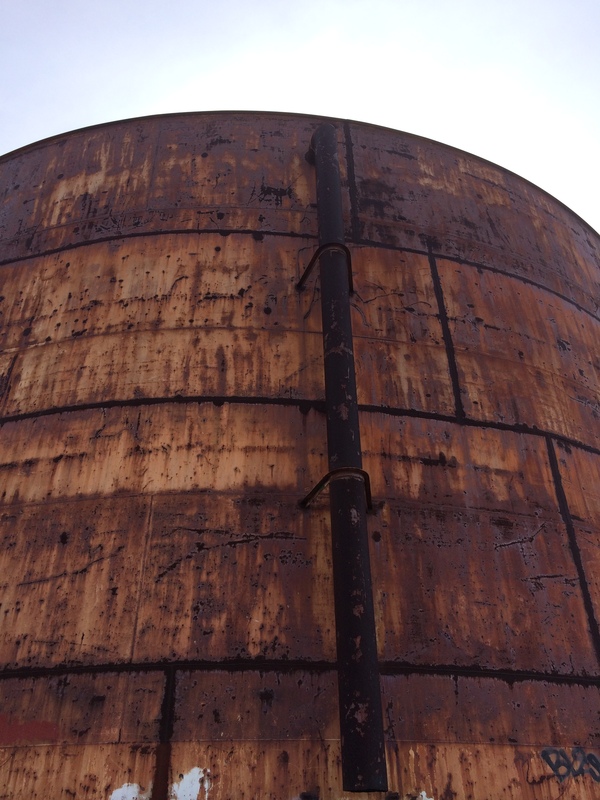 Tucked up in the hills of the Daley Ranch, on an offshoot of the Sage Trail, we found this rusted old water tower. 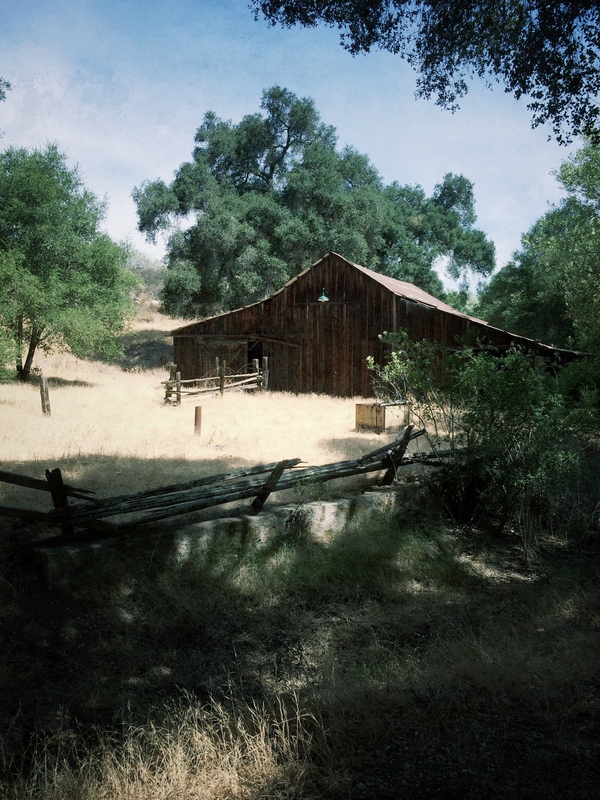 After a much longer hike than we had anticipated (at about our 7 mile mark), we came across the old ranch buildings from the days when this land was a working ranch. 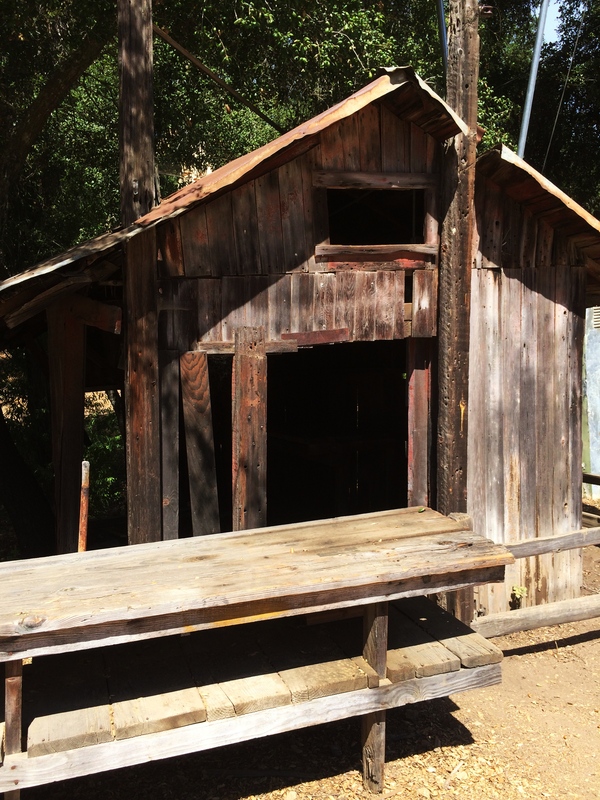 It’s interesting to me to think about how much smaller buildings tended to be in days gone by. Compared to some of the surrounding homes, these buildings are barely the size of a single room of modern buildings. But it was this relic that made me take a second look. 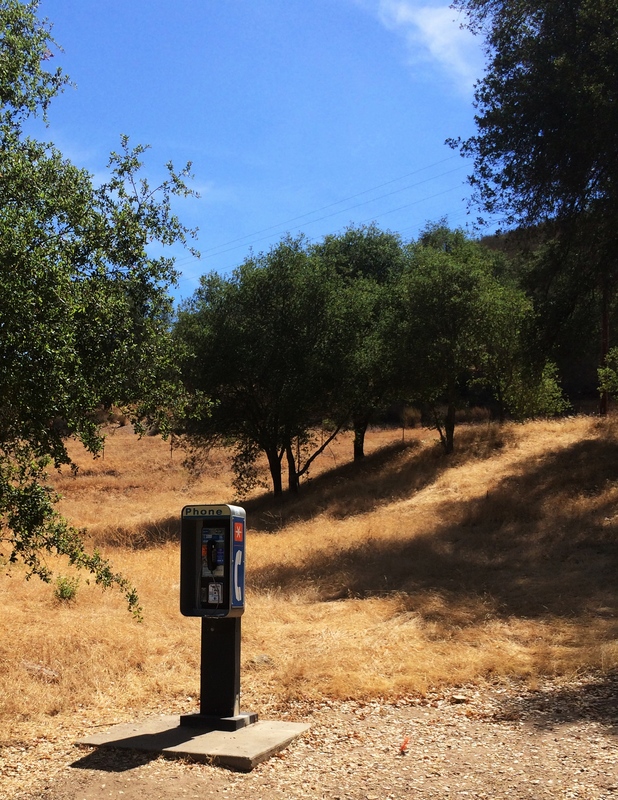 More than a mile from the trail head, near these old buildings, sat a more modern relic, something that is seldom used these days…a pay phone! We ended up hiking more than 8 miles today! Much longer than we planned, but also entirely enjoyable. The weather was warm, but not hot. The trails were varied and interesting, but not incredibly steep. 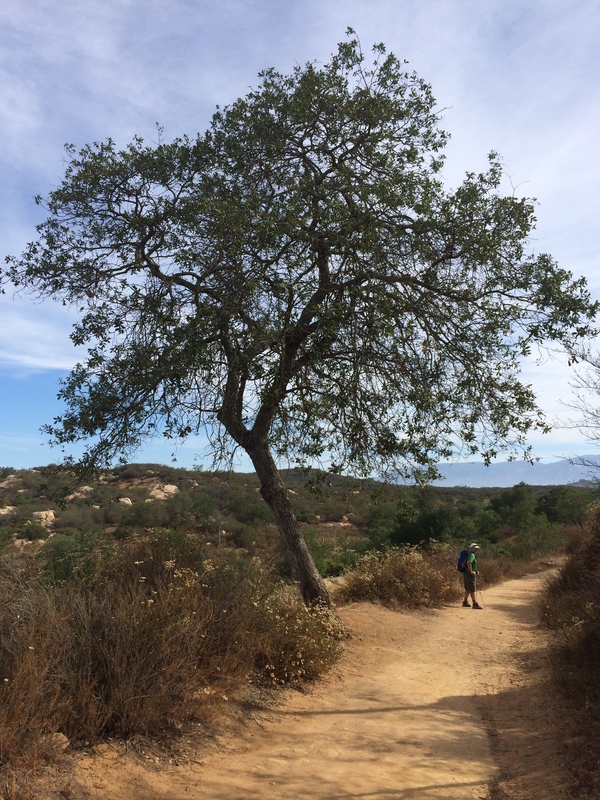 It was a perfect learning walk and photographic adventure…with some exercise and fresh air thrown in as well. 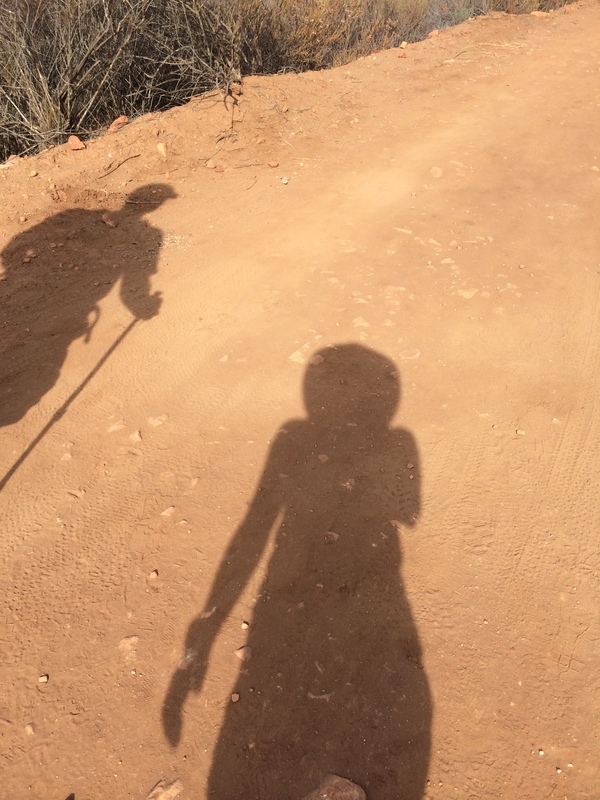 And who can resist a shadow selfie…this one is a hiking shadow selfie! I wonder what relics future generations will find as they hike and look at evidence left from our lives. How will our remains help them understand a life they haven’t experienced? What will amuse and confuse them? 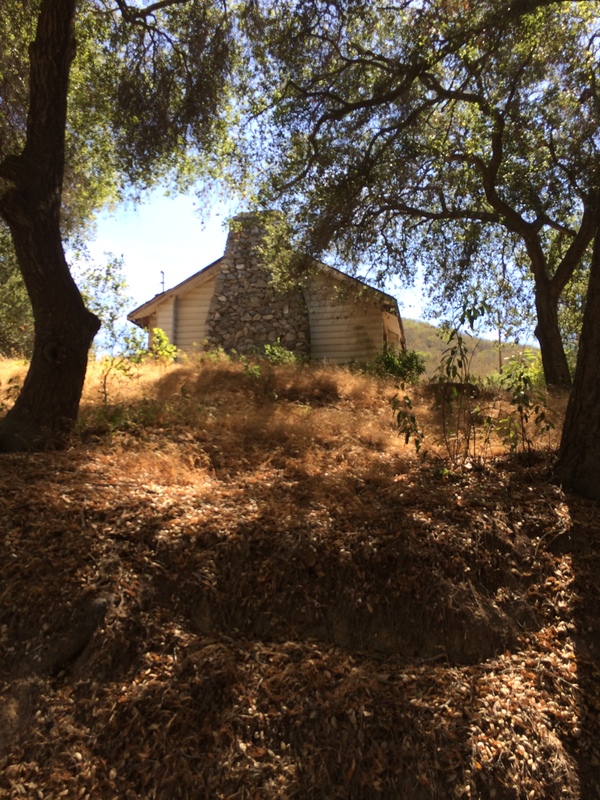 This entry was posted in clmooc, photography and tagged daley ranch, hiking, iphoneography, learning walk, photo essay, postaday, relic on July 12, 2014 by kd0602. I wonder if that payphone actually worked. Did you try it?